Your solar sales team already has its work cut out for it. After all, solar energy is an idea whose time has come. It’s great for the environment, it helps your customers save money, and for those who opt for solar leases or PPAs, the up-front investment can be quite minimal. As if those reasons weren’t incentive enough, going solar also allows homeowners in some states to impress their neighbors while gaining property value and avoiding an increase to their tax burdens. What’s not to love? Still, people get set in their ways, and even though solar energy’s value proposition is undeniable, your sales team will find that many prospective solar adopters will need a bit of extra persuasion before signing on the proverbial dotted line. With that in mind, here are five solar closing techniques that will help your solar sales team close deals more effectively and maximize your marketing ROI. Competition is fierce in the solar industry; in some areas, it seems like a new solar installer enters the market every other week. It might be tempting to compete on price, but competitions tend to escalate. Before too long, you’ll have raced your competitors to the bottom. Solar prices are already falling; there’s no need to hasten their descent. Instead of trying to battle your competitors on price, concentrate on building value into your services. Let customers know that while your company may not be the cheapest, all of your installers are trained and certified. Show them how you’ll take care of them after the installation by monitoring their solar arrays and making yourself available to answer questions. Think of it this way: most consumers don’t necessarily want the cheapest option. What they want is a great value. Give them that, and they’ll choose you over the competition nearly every time. During the sales process, there will be plenty of opportunities to establish common ground. Yes, climate change is a serious issue. Yes, saving money is great. Yes, solar adds value to a home. Yes, fossil fuel prices can only increase over the long term. Your sales team should make an effort to get prospective solar buyers in the habit of agreeing with them. When the time comes to pop the big question, they’ll already be nodding their heads. For some consumers, going solar already has a sense of urgency. After all, what could be more urgent than the looming threat of climate change? But even the staunchest green consumers can be encouraged with a little extra incentive to take immediate action. For example, you might authorize your sales team to offer a small, limited-time discount. During the fall and winter months, the sense of urgency might come from the fact that solar installation lead times are generally shorter. Who doesn’t like going to the front of the line? Tax incentives expire and net metering policies change. You know that there’s never been a better time to go solar. If you think about it, you can surely find a way to subtly build urgency into your pitch, regardless of timing. These days, solar installers have some pretty compelling system design tools at their disposal. When customers participate in designing their new solar arrays, they feel more invested in going solar. Plus, they trust that the system they’ve helped design is the one they’ll get, and building a trust-based relationship with your clients is one of the most important things you can do. Ask any mom, and she’ll tell you the same: the best way to get kids to eat broccoli is to have them help cook it. The same principle works for solar sales. Why do so many solar salespeople fail at closing the deal? They spend too much time talking, and not enough time listening. 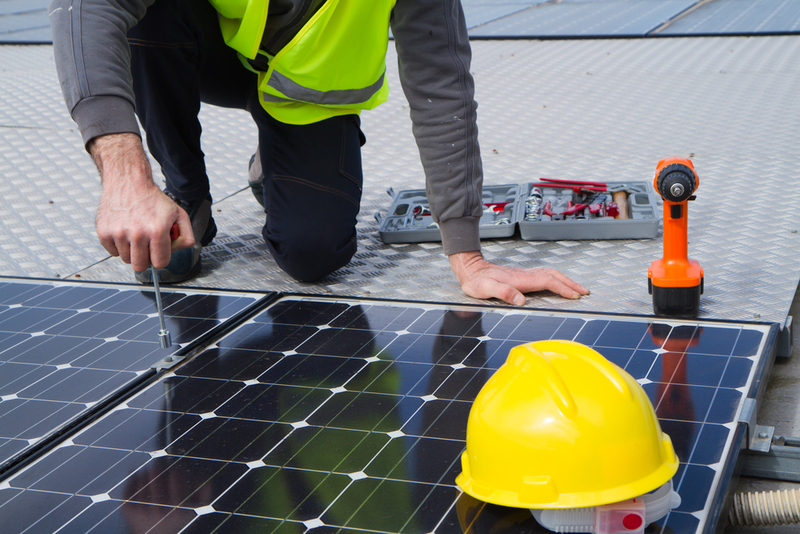 Every customer has his or her own set of reasons for (and objections to) going solar. Figure out what your client hopes to achieve by going solar, and show them how solar meets their needs. Overcome any objections as they come up by providing honest, simple answers that prove the value of going solar. If you do these things, then closing the deal will be as easy as asking. It’s an old sales adage, but it’s true. If you want to close more solar sales, you should always have your eyes on the prize. Don’t race to the finish line and pull out the big contract without listening to your customers, of course – but always remember why you’re engaging with a solar prospect and lead them towards the value in order to close more deals. We hope these closing techniques give your team’s closing ratio a healthy boost. Oh, and if they could use more leads to use these tips on, RGR is here to help. We offer the best quality solar leads and the best customer service in the industry. Get in touch with us today and give your solar installation business a serious boost.